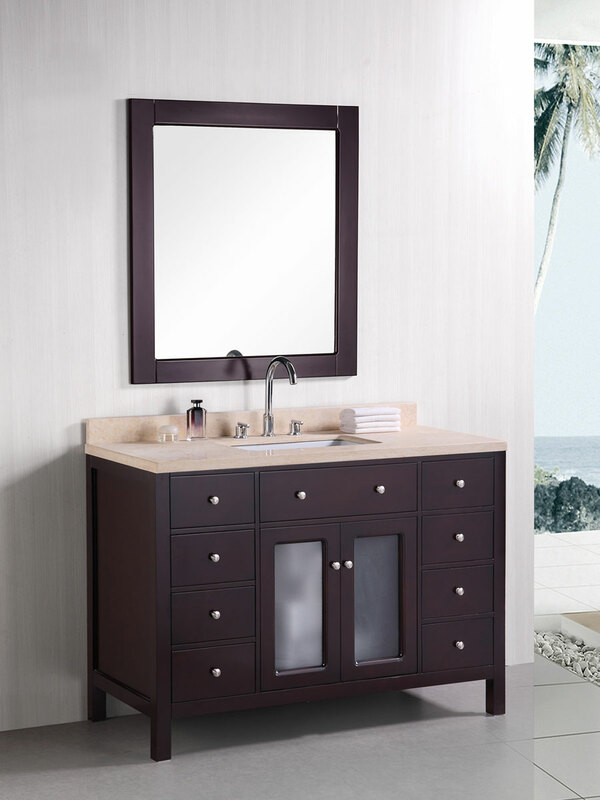 The Venetian Single Vanity is a much warmer take on a modern design for contemporary bathroom vanities. 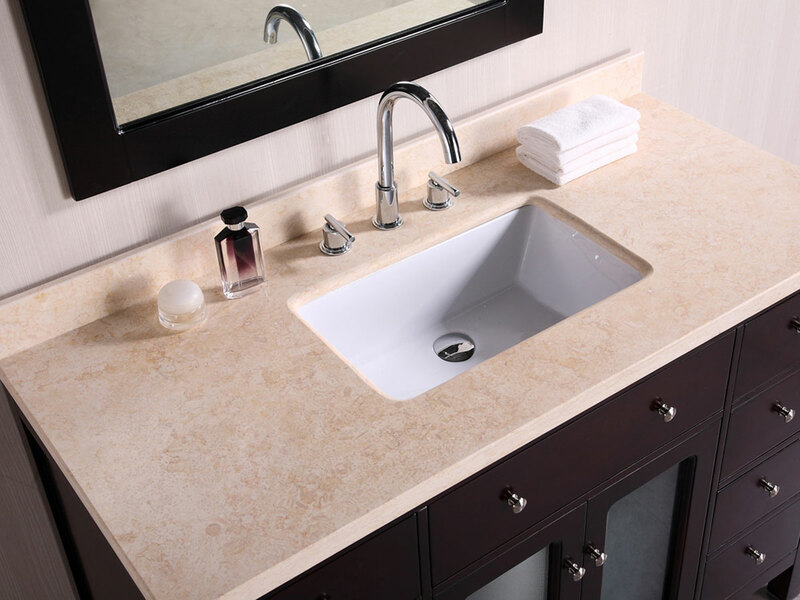 Its beautiful beige marble counter top crowns the richly finished vanity for a natural yet luxurious look. 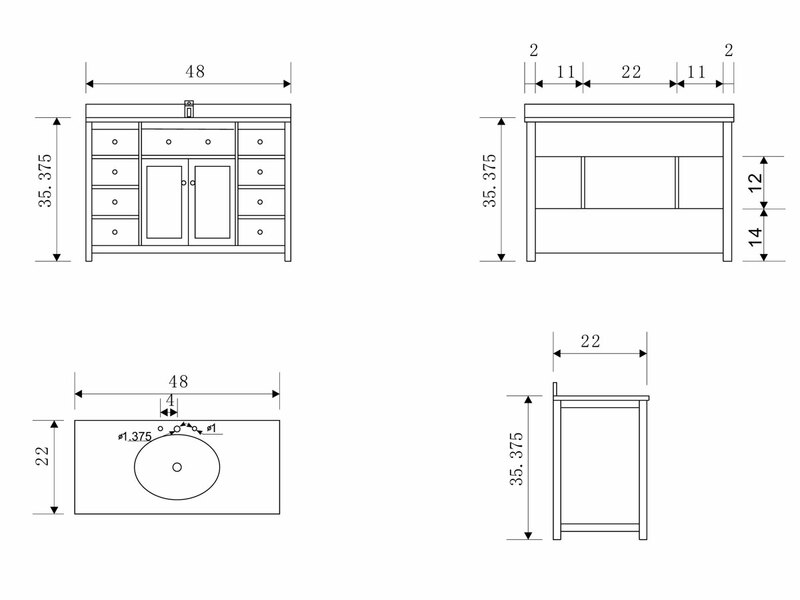 The vanity itself is constructed from solid hardwood, which means warping and cracking won't be an issue. 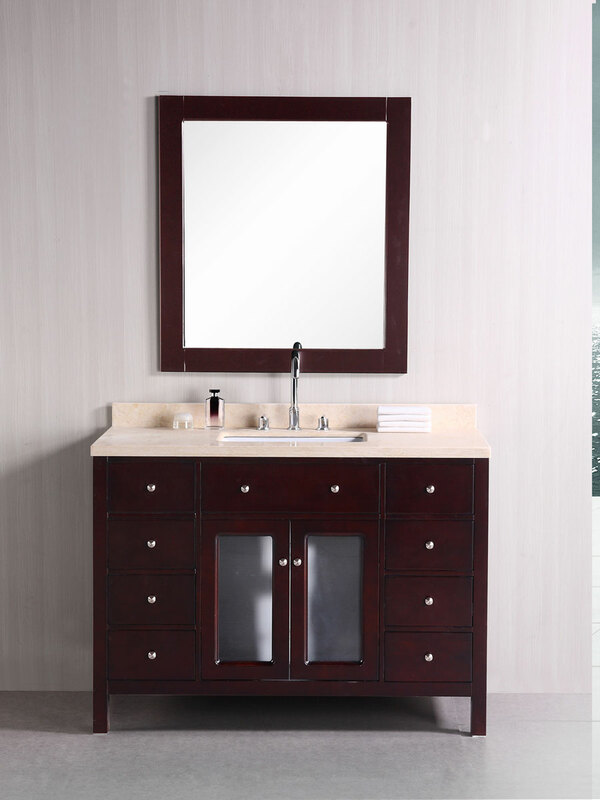 With eight functional drawers and a cabinet, this vanity boasts plenty of storage space for all of your bathroom supplies. The vanity includes a white porcelain sink.